We’ve all heard the saying “a new year = a new you” and while many of us start each year with good intentions, it is easy to slip back into old habits. But for those of you who really are serious about getting fitter and healthier, the important thing to remember is a journey of a thousand miles begins with a single step – and here is where to start. 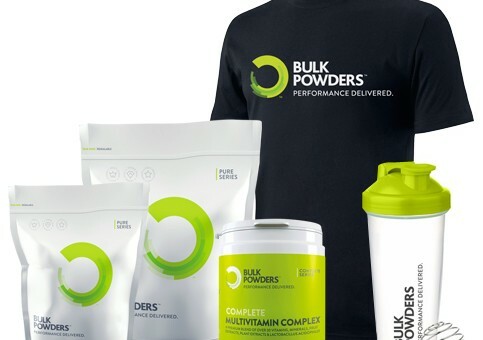 With no secret ingredients and no outlandish claims, Bulk Powders is a no-nonsense brand that strives to help people achieve their training goals. It’s not just about bulking up or helping with weight loss – it is about ensuring the body is fed with the right nutrients to keep you healthy and fit. To win a get fit starter pack of Bulk Powder products, simply follow the link.